The Quinnipiac Bobcats have found a third goalie for the 2017-2018 season a source confirms to the BobcatsHockeyBlog.com. With the departure of Chris Truehl who had a year left of college eligibility, Quinnipiac returned only one goaltender from the previous season. With Detroit Red Wings third round draft pick Keith Petruzzelli joining the team in the fall that gave the Bobcats only two goaltenders on the roster. Enter Josh Mayanja into the picture as the Framingham, Massachusetts native committed to Quinnipiac this afternoon presumably for the upcoming season. 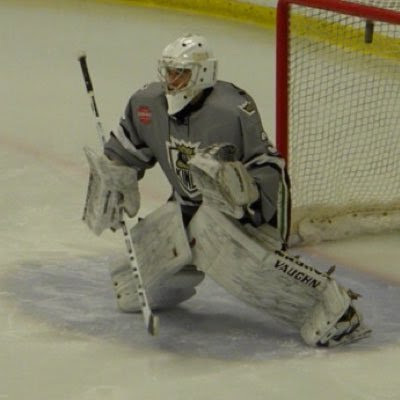 Mayanja is a 6'1, 165 pound goaltender who most recently played for the South Shore Kings (USPHL Premier). In 11 games played for the Kings he had a 3.52 goals against average with a .906 save percentage. Prior to joining the Kings, he played three years for the Boston Advantage U16 and U18 programs. Congrats to Josh on his commitment to Quinnipiac and welcome to BobcatNation. Congratulations to Josh Mayanja on becoming a part of The Quinnipiac Bobcats. I hope he proves to be a great new addition to the team and is able to serve them well.